Shana Tova, Happy New Year! 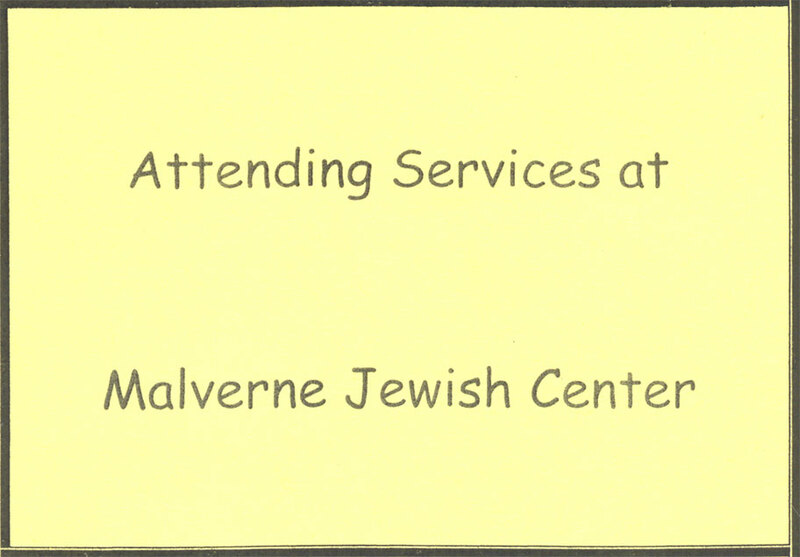 The Malverne Jewish Center is happy to welcome you to Tishri 5777 Holiday Services this year; thank you for choosing to join us. We’re located in the Bridge Church building at the corner of Norwood and Hempstead Avenues, and our entrance is through the parking lot on Hempstead Avenue. Because of construction, parking in our lot is quite limited, so you’re welcome to park on the side streets surrounding the area. St. Thomas Place, Nassau Avenue and Norwood Avenues are the closest. Below is a card that will allow you to park for longer than noted on the signs without concern. Please make sure it’s displayed on your dashboard. Metered spots do require payment. The special parking arrangement runs through Tuesday, October 18, 2016. Sunday, October 16 – 6 :00 p.m.
Monday, October 17 – 9:30 a.m. Luncheon following services – reservations required. Monday, October 17 – 6:00 p.m.
Tuesday, October 18 – at Valley Stream J.C – 9:30 a.m.
Sunday, October 23 – 6:00 p.m.
Monday, October 24 – 9:30 a.m.
Monday, October 24 – 7:30 p.m.
Tuesday, October 25 – at Congregation Shaaray Shalom – 9:00 a.m.
We look forward to meeting you and spending time with you as we usher in the new year of 5777. 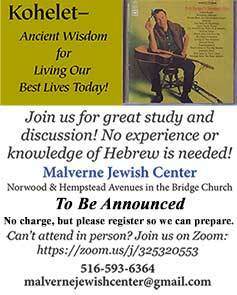 For additional information, please call the MJC office, 516-593-6364, email mjctemple@gmail.com, or call Rabbi Susan Elkodsi, 203-332-4428. Wishing you a happy, healthy and sweet new year.